The Open Enrollment period for Qualified Health Plans comes to a close on March 31st, 2014. What exactly does that mean for you? If you haven’t enrolled in a qualified health plan by March 31st you may be subject to tax penalties of $95 per adult/$47.50 per child (maximum of $285 per household) or 1% of your household income, whichever is the greater of the two. If you miss the deadline, you will have to wait until November 15th (unless you qualify for a Special Enrollment Period), the proposed date when open enrollment begins for 2015. 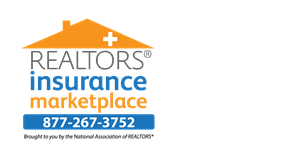 REALTORS® Insurance Marketplace provides NAR members with the ability to quickly compare and apply for Qualified Health Plans through the private Members Health Insurance Exchange. With this private exchange there is no need to navigate through the potentially cumbersome sign-up process of the public exchanges. Our private exchange is easy to use and there are licensed benefit specialists available to help you. Or you can call SASid to speak to a licensed insurance agent: 877-267-3752. An announcement was made today by the Obama administration that only large employers (100+ full-time employees) would be subject to fines for not offering coverage in 2015. The requirement that employers with 50-99 full-time employees provide health benefits or be fined, will not take effect until 2016. A complete article regarding employer mandate delays can be read here.